Fashion Maven... Mommy: My Top 5 (and a few more) It Cosmetics Products - Collab with Diane Mary! My Top 5 (and a few more) It Cosmetics Products - Collab with Diane Mary! If you've kept up with my blog, you know I'm a HUGE It Cosmetics fan! Their products are all i trust to ensure a flawless complexion because they truly nourish my skin while keeping it looking pretty. 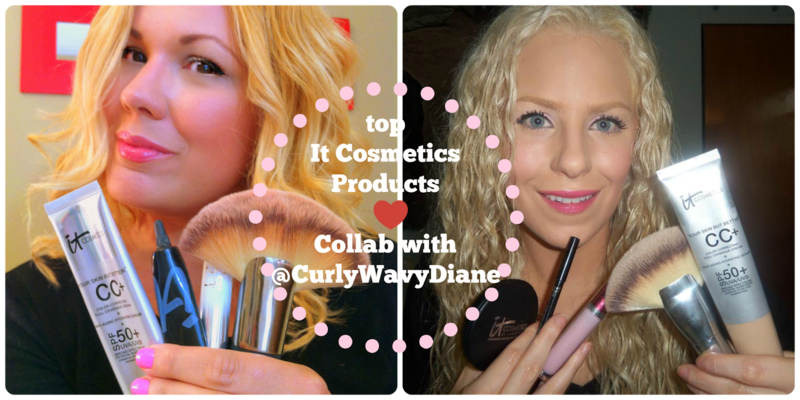 Diane Mary of @curlywavydiane on YouTube and i met at an It Cosmetics event at Ulta (which you can actually read about here) and we've become makeup buddies ever since. We both share a love for this brand and decided to partner up and create a video illustration our top 5 favorite It Cosmetics products. However, as you'll soon find out, we both sorta cheated because lets face it... there is no way i (or she) could possibly pick just FIVE! So i hope you'll forgive us for not sticking to our initial plan but if you own any It products you will certainly understand our dilemma! OK, wanna find out our pics? Check out my video here! Also, please be a doll and subscribe to my YouTube Channel! It would mean the WORLD to me!!! Be sure to check out Diane Mary's video on Youtube @curlywavydiane and Subscribe to her channel! You can also find her on twitter @dianemary126, instagram @dianemary126 and check out her blog at www.curlywavydiane.blogspot.com. Thank you SO MUCH for reading, watching, subscribing and supporting! Means the world to me! wow these are great products thanks for sharing! Great post! Just found your blog and really love it! Would you like to follow each other on GFC, facebook and bloglovin to stay in touch? Let me know, thanks!